Malcolm Turnbull gives homeless $5 while holding wad of cash. What the PM missed about his $5 donation to a homeless man. I bet Malcolm Turnbull thinks he just can’t win. He won the election, but the rumbles about his ability to lead a united Coalition won’t stop. He totally invented the internet but no one will believe it. He gives to homeless people on the street, but holds back the big notes. Yep, I bet it’s the last one that stings the most. Because it’s a real lose lose. There’s no way Turnbull doesn’t come off badly out of it. Walk on by, someone is going to call it callous. Stop, give a fifty, someone is going to say you’re flashing your considerable personal wealth. Stop, give a fiver while holding back a bundle of fifties, and you’ll end up on Twitter. One of Malcolm Turnbull’s biggest problem is people know just how rich he is. He’s not a man of the people, no matter how many trains he rides. He’s got a better view from his private Point Piper mansion then he can get from Kirribilli house. So we know just how little money $5 is to our Prime Minister. Being rich isn’t the problem, it’s how he uses that wealth that matters. 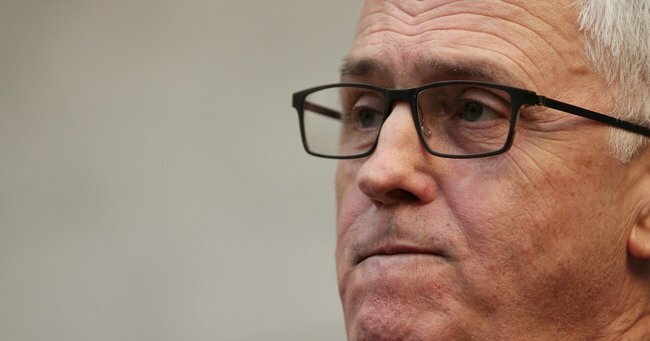 Turnbull is reportedly worth over $200 million. He also reportedly donates the equivalent of his $500,000-odd Prime Ministerial salary to charity each year. Which is no small sum. But Turnbull made a big mistake when he bent down to give that fiver. He had to know the photographer was there, and he made a calculated decision to be photographed giving money. He probably thought that he was being generous. But true generosity costs you something. Five dollars on the street when you’re packing a clip full of fifties costs you pretty much nothing. At the little Catholic primary school I went to, the nuns loved to tell the same few bible stories. The good Samaritan, the loaves and fishes, and the old woman in the temple. Most people know the good Samaritan and the loaves and the fishes, but the old woman in the temple is less well known. It is basically a parable that highlights how when someone who has a lot gives a little, it means so much less than if someone who has very little gives everything they have. It’s designed to make you think about community and sacrifice and sharing. Giving money to homeless people on the street is a drop in the ocean. Whether you’re the PM or a pauper, you are not going to be able to fix the problem with one donation in a paper cup. Oooo nasty Malcolm turnbull giving a homeless man money while he has more money in his pocket. None of us have ever done that. But Malcolm Turnbull is the Prime Minister. He can change policies, fund housing projects, drive welfare support where it’s needed. He can make meaningful change for the most desperate and in need among us. It is his job to do that. And he doesn’t have to reach into his own pocket to do it. Unless you count paying his fair share of income taxes. In the meantime, you can always count on the internet (which let’s not forget is Malcolm’s fault) to provide some perspective.